The early 1960s were a time of existential unease across the world. The constant threat of a nuclear bomb—and of mutually assured destruction—led to a palpable sense that nuclear holocaust could occur any day. 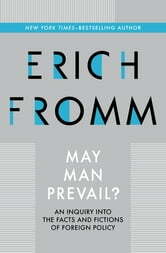 It was in this Cold War environment that social psychologist Erich Fromm wrote May Man Prevail? By analyzing the enemy stereotypes and mutual projections that were prevalent in the foreign policies of the Soviet Union and the United States, Fromm pointed to the anxieties on both sides and illustrates how paranoid thinking in the political realm can be extremely dangerous. With his excellent psychological analysis of the mindsets of the major players of the time, Fromm helped us overcome the Cold War’s ideologies and fictions. This ebook features an illustrated biography of Erich Fromm including rare images and never-before-seen documents from the author’s estate. 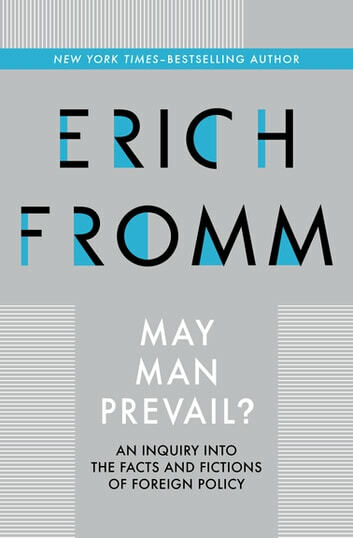 Livros relacionados a May Man Prevail? The Great 20th-Century Event that Changed the World:Vladimir Ilyich Lenin and the Russian Revolution of November 7-8, 1917.